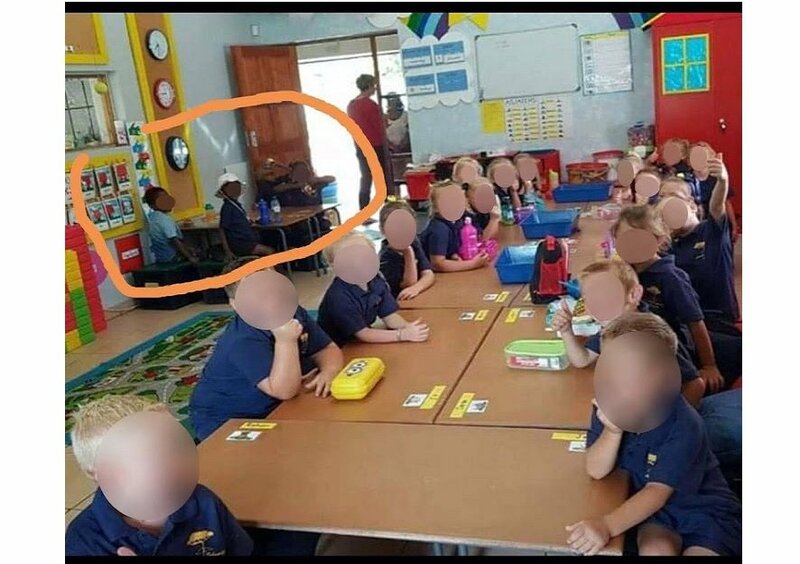 School authorities at Laerskool Schweizer-Reneke in South Africa are facing severe backlash after a photo circulated of black grade R children seated separately from their white classmates in a group picture that was taken by their teacher on their first day of school. Speaking with TimesLIVE, a mother of one of the four black kids, who saw the picture shared how devastated and angry she was. “This was meant to be an exciting day for me but it’s not,” she said. “All I saw was messages from the white parents saying ‘dankie, dankie’ (‘thank you, thank you’) but no one was saying anything about the separation of the learners,” she added. The picture, which has since gone viral on social media received a lot of condemnation from people accusing the school authorities of racism.